This is what the box looks like prior to folding and gluing. That picture is of a box 2"x3" in size when finished. The boxes that I'm going to show you, are 3.5"x4". Score on long side at 3", 4", 8", and 9"
Turn paper and score on short side at 1" and 4.5"
Snip along score mark long side at 3", only 1" then stop at intersecting score line. Turn paper and snip one inch to next intersecting score line. Repeat on opposite side. Slightly trim flaps so they tuck nicely when folded. Snip at 8" and 9" mark to intersecting score lines. Cut diagonally from 9" to 8" to make triangular flap. Repeat on opposite side. 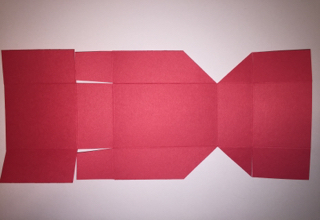 Fold over at 8" then trim the corners that stick out to match the edge of the triangle flaps you just cut. Fold bottom of box by tucking the odd looking flaps in and gluing outside of box. Glue triangle flaps to create the top lid of the box. 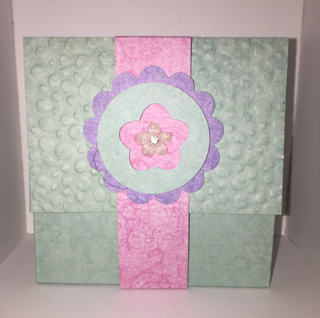 To make a band for this size box, use a strip of matching paper/cardstock 1"x10and3/8". Score at 3and1/8", 4.25", 8and3/8", and at 9.5". Apply a 1-1.5" circle to the underside of bands where they come together. Now on top of band, glue a scallop, 1.5-2" in size. Embellish as you'd like. Viola! Decorate as you wish! 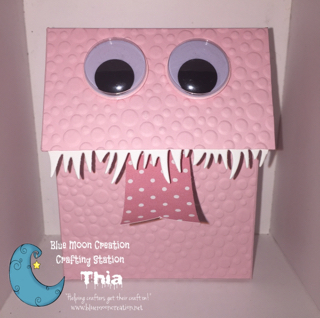 Or, for Halloween, create a monster and fill with treats! Score on long side at 2", 3", 6", 7"
Score on short side at 1" and 3"
Halloween is right around the corner! Have you been Boo-ed yet? 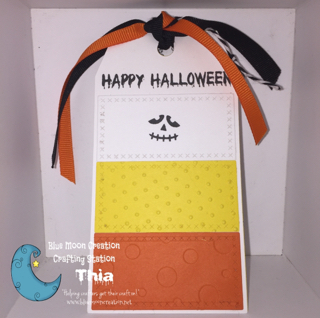 I created this fun BOO tag using stamp sets that I designed which are currently available at The Cutting Cafe. After creating this tag, I wish I did something a bit different. I should have stamped HAPPY HALLOWEEN at the bottom of the candy corn tag. I think I'll do that for my second one. That's all for now! 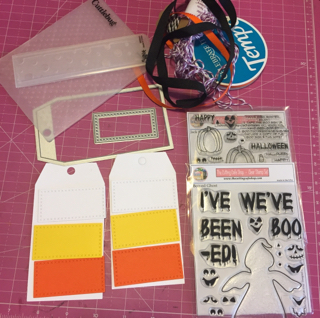 I hope I've inspired you to get your craft on! Toodles! Do you need some inspiration for Valentine (or really any LOVE) card? Look no more! This video created by me for The Robin's Nest, is less than 2 minutes long and is sure to inspire you to get YOUR craft on! 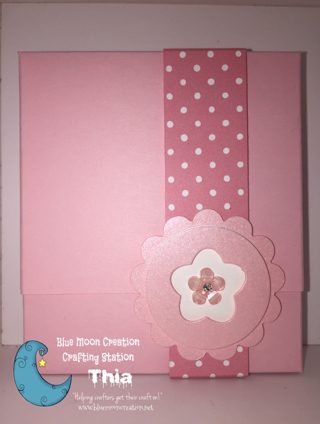 Every effort will be made to contact you and verify an email address where you can receive monthly emails full of crafty goodies.